Take a look at the image above. While it lacks some context, you may recognize the circular shape of that hunk of plastic and pogo pins as the rear cover of a smartwatch. A Huawei Watch, to be precise. And what's front-and-center in focus? Well, initially it just looks like... a big hunk of metal. 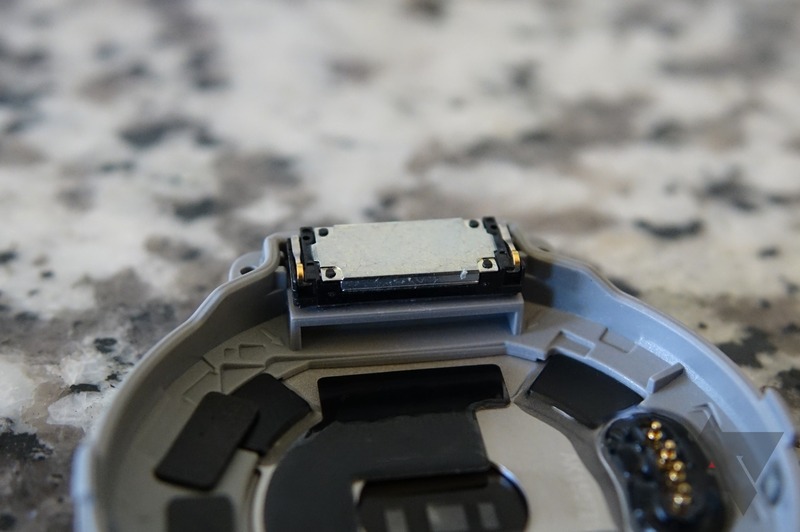 Upon taking apart the watch, I immediately noticed it was highly magnetic and had been glued down to an area of the watch that corresponds with an unexplained opening on the case pictured below.